By Anya Todd, R.D., L.D. My baby is approaching a year old, and I am really confused about what to provide him after weaning. It seems like everyone is insisting we give him cow’s milk. We are a vegan family. Help! The simple answer is “No, your baby does not need to drink cow’s milk in order to be well-nourished, and I am a dietitian and know what I am talking about.” That said, let’s delve a bit deeper. There is no doubt that cow’s milk is rich in calories, fat, protein, and calcium – it is meant to nourish a calf who will grow by hundreds of pounds in a year. Many people believe cow’s milk is an ideal food for humans, especially growing children. Of course, it doesn’t help when sensational headlines from not-so-great research says that children who don’t drink cow’s milk are shorter than those who do. Poppycock! I typically recommend families use soy milk when weaning. 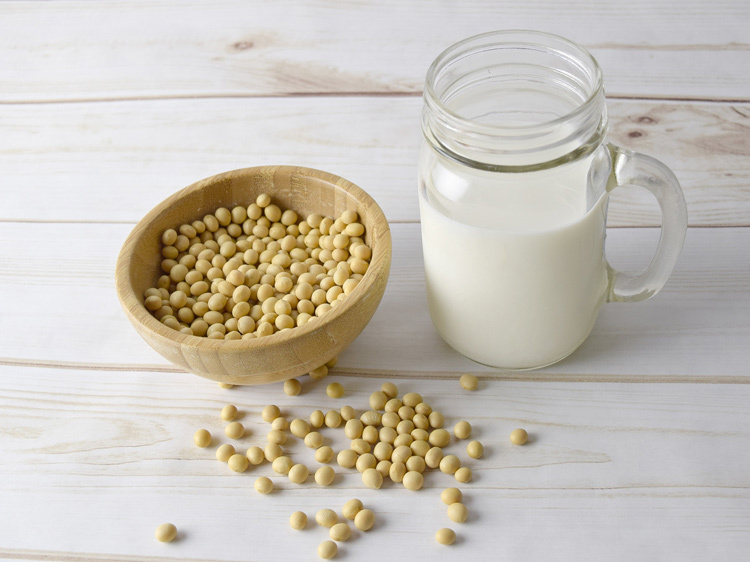 It is a great source of calories, protein (7 grams per cup versus 8 grams in dairy), healthy fats, and is fortified with calcium that is equal to that in dairy. Additionally, most non-dairy milks are fortified with other nutrients like vitamin B12 and D. I am not opposed to children drinking other non-diary options, but I do advise parents to pay attention to the overall composition of their child’s diet – meaning, if they don’t consume many protein-rich foods, I would discourage giving rice milk, which is a low protein option. I know plenty of families whose children are great eaters and who consume a variety of non-dairy milks. Lastly, it is worth mentioning that there are plenty of foods that provide the nutrients as cow’s milk which makes emphasis on the dairy so bizarre. Calcium is available in items like fortified foods (cereal, bars, and non-dairy beverages), almonds, and certain greens (like bok choy). Fats can easily be found in tofu, avocado, nut/seed butters, and olive oil. And let’s not forget protein because that dang myth about vegans and a lack of protein is still a thing. Protein is abundant in plants, especially legumes. Cow’s milk is also thought of a way to hydrate baby, but again, non-dairy beverages and water are perfect choices – with the occasional 100% fruit juice thrown in now and again. I hope this puts your mind at ease that your vegan child can thrive when provided nutrient-rich plant foods. Have a nutrition question for Anya? Email her. Disclaimer: Although Anya Todd, R.D. and Kara Rienzo, R.D.N. are registered dietitians, the nutrition content provided on GenerationVeggie.org is for educational and informational purposes only. Any or all changes to your diet and lifestyle should always first be discussed with your professional healthcare providers. GenerationVeggie.org assumes no responsibility or liability for any consequences resulting directly or indirectly from any action or inaction you take based on the information found on or material linked to on this website. 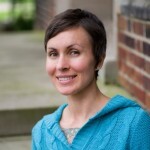 Anya is a registered, licensed dietitian with more than a decade of experience in clinical settings, research, education, and community outreach. Currently, Anya is pursuing a graduate degree in Sustainable Food Systems. When not working or studying, she runs the Mid-Ohio Animal Welfare League, a volunteer-operated nonprofit that provides foster care to medically needy companion animals and brings low-cost vet services to under-served areas. Read more about Anya.